Dice eggplant as small as possible. 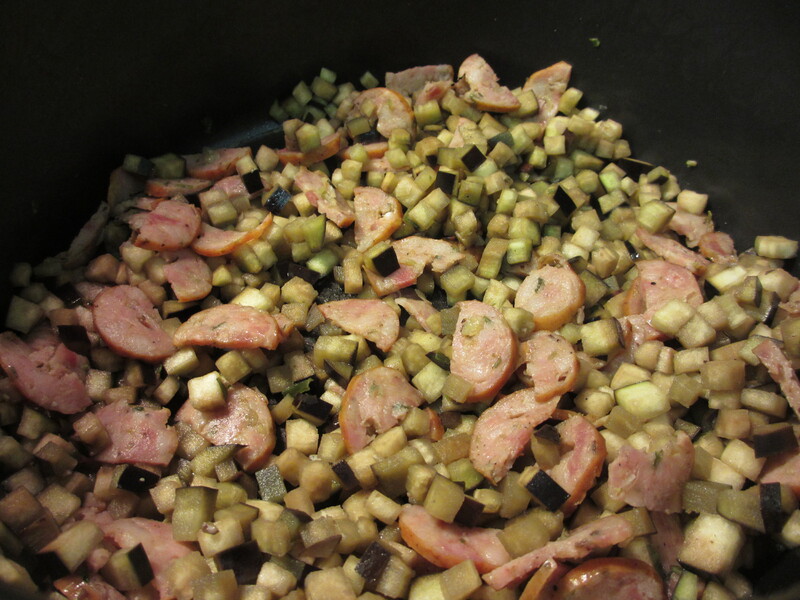 Sauté sausage until it begins to brown. Add eggplant and enough water to cover the bottom of the pot [around 1 cup with large stew pot]. Cook covered, mixing every 10 minutes, until eggplant becomes desired softness.